Special opportunity for students to learn and play chamber music! 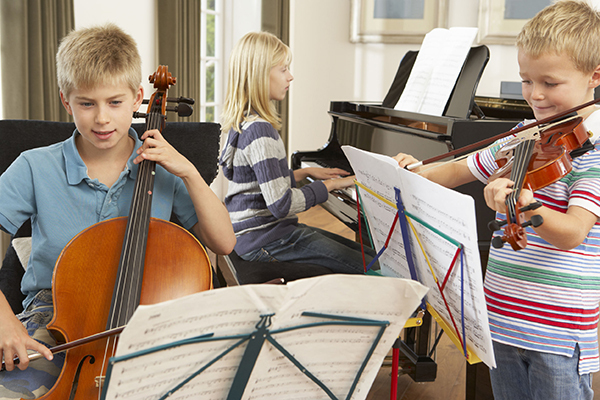 Piano, violin, viola and cello students will play in small ensembles of two to six people. Each player gets to show off their skill and enjoy the fun of playing in a small group. Students learn teamwork and the importance of their individual musical contribution to the group. In addition to chamber music master classes, students will have the opportunity to try guitar and ukulele group classes, music enrichment classes or compose a song! Lively fiddling classes will also be offered for string players. An individualized lesson plan will be created for each student and students will be provided music to learn in advance of the session. Students will have the opportunity to demonstrate what they’ve learned at a Grand Finale Performance in the evening at the Church of The Good Shepherd on Thursday night. Classes will be held at the Suzuki Music Institute in Maitland. Our chamber music camp develops social skills and teaches students how to artistically collaborate. It improves rhythm and broadens musical knowledge. Students must know not only their part but other parts of the ensemble. A unique opportunity for pianists to play with other instrumentalists in an ensemble and develop valuable professional skills. Some pieces learned in the summer could potentially be entered into the Federation of Music Clubs Junior Festival. Suzuki Music has been providing music instruction in the community for over 38 years. Our teachers hold advanced degrees from the Eastman School of Music and the New England Conservatory. With extensive performing and teaching experience, our teachers provide students with insights on chamber music playing. Interested students are encouraged to register as soon as possible. Enrollment is limited. Registration deadline is May 15. 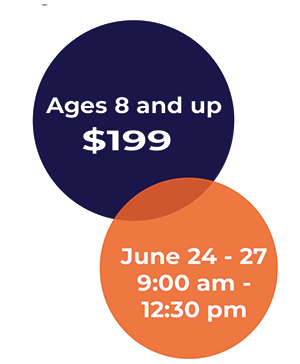 The Piano and String Chamber Music Camp starts on Monday, June 24 and goes through Thursday, June 27 from 9:00 am to 12:30 pm. The Grand Finale Concert is on June 27 at 7:00 pm. The cost for the camp is $199 per student. Please fill out the application form below so we can match your student with the right activities. If you have more than one child, please complete the form for one child and then refresh the page and fill out the form the form for each additional child. We will respond to your application within 24 hours to discuss an individualized lesson plan.